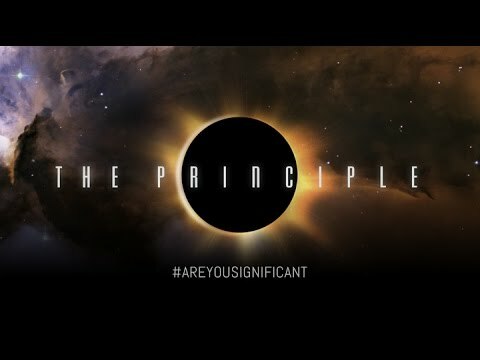 It has been a year since “The Principle” came out—a controversial astrophysics-based/theoretical documentary challenging the Copernican Principle with a geocentric dialogue. After its release, narrator Kate Mulgrew and scientists Max Tegmark among other such as Michio Kaku and Lawrence Krauss distanced themselves from the project, claiming that they were misled about the film’s agenda. However, to proponents of geocentrism, the backlash seems to confirm the dangerous truth that the universe revolves around the earth. I had the chance to interview the film’s producer and writer Rick DeLano about the importance of this controversial conversation, what geocentrism could mean for the scientific community, and how he feels about the backlash from the film’s scientists and the public one year later. CH: You’ve done research on the Copernican Principle, geocentrism and other theories—what was the evidence you discovered that tipped you in the direction that we are perhaps the center of the universe? RD: The one thing that really tipped me over was when I learned that in all the many hundreds of years that this great revolution, the Copernican Principle the idea that we are not the center of the universe, has been universally believed, there has never been an experimental demonstration of the motion of the earth. This was so stunning to me. What I learned was that demonstration, in other words, the actual measurement by repeatable experiments of that motion was never claimed. The smartest guys in the world… could never actually measure the motion. This went on for 200 years. And finally, Michelson and Morley did perhaps the most crucial experiment in physics where they said okay we’re going to nail this down. They said, “We’re going to do an experiment to actually once and for all demonstrate the motion of the earth.” And they came up with the value of zero just like everybody else had for 200 years. And this was really the reason that the entirety of physics had to change at the beginning of the 20th century. Einstein’s relativity is the only possible answer for all of those failures. And it suddenly hit me: either Einstein is right and you never can measure any motion of the earth, or else geocentrism is right and they invented this entire elaborate physics simply to explain what their experiments were telling them. CH: Why is it important that this conversation of geocentrism has opened in the scientific community? What does this mean for our daily lives? RD: What’s important for science is to have a correct picture of reality. And there is no more fundamental idea in all the history of science than the Copernican Principle. It is my opinion that modern science begins with Copernicus saying, “we’re not the center of it all.” All of science since then is an elaboration and an extension of that world-changing idea. My point is this: if they got that wrong, then all of our cosmology is wrong. We teach our children that there was a Big Bang and the universe was 13.8 billion years old and it’s expanding and we’re just one corner of the Milky Way and there’s nothing special about us—that’s a very powerful thing to say. It better be true, because the alternative… is that we’re at the center of the universe, that this is created universe—that this is what the Catholic church has taught for hundred of years in that the heavens do provide physical evidence sufficient enough to conclude that this is a designed and created universe. Now that’s not a very popular idea in science now, but once you look at this over the centuries, the ebb and flow here is so fascinating. I believe that we are at that point where the pendulum has started to swing back in the other direction. And I think the Copernican Principle is wrong and we are at the focus of a designed, created universe. RD: As I look back I think I was a little naive. My partner and I decided early on that we wanted to make the fairest documentary. What stunned me the most was nobody had ever made a documentary film about the Copernican Principle. That was so shocking to me. My partner and I said, look, we have to do this. It would be a film important for decades to come because nobody’s done this before. So let’s get all the viewpoints out there—let’s talk to the mainstream guys, let’s talk to the dissidents, let’s talk to the geocentrists. Let’s have a dialogue, because I am firmly convinced it is far more important that people learn how to say rather than what to say. I wanted to make a film that would reintroduce this question in a very fair-minded way. I naively assumed that would win me points. Quite the contrary. What I have learned is that there are certain ideas that are simply too dangerous. There’s too much invested in the Copernican Principle. There is no such thing as a fair fight. That’s exactly why the Catholic Church condemned Galileo because they saw the entire power structure of the world was going to change on this one idea. There is now very powerful evidence [for geocentrism]. I won’t say it’s conclusive but for me, I’d say I’m persuaded. People can still disagree but there is profound counter-predicted evidence in the latest galaxy surveys that indicate the Copernican Principle is wrong. And if the principle is wrong, all of our cosmology is wrong. We feel the film is pretty powerful. CH: There’s a bit of a role reversal in Galileo and Copernicus being shunned from the scientific community thanks to their belief in the heliocentric model, and now there has been a backlash against The Principle for the belief in the geocentric model. Would you say the backlash is almost an affirmation of the truth? RD: There’s no doubt about it. The Catholic Church used to run the Western world. The reason why it ran the Western world is because you, me, and everyone believed that if it was in the Bible, it’s true and if the church said it, it’s true. That’s how it worked back then. We are now living in the world where the only category of civilization that really enjoys something approximating the place that Catholic priesthood used to have are the scientists. If the scientists got this wrong, if the earth is actually the center of the universe, they face the same reversal that the Catholic Church face in dealing with Galileo. I think the deeper you look into this the more you understand that there are some questions that will not receive a fair reasoned discourse in the public domain because there’s too much at stake. When I made the film I had a wonderful time talking to the scientists. They may be philosophically opposed but they are aware of the fact that these observations are really strange. And they’ll talk about it. But the minute it hit the public and that dreaded “G” word was associated with the film, oh boy. All of the sudden it was let’s circle the wagons and defend science and I think it’s embarrassing, to be perfectly honest. CH: Did you reach out to the scientists in the film after the backlash? RD: I made several attempts. A couple of these guys became friends of mine. Max Tegmark and I corresponded—we became friends as this was developing… We had a wonderful exchange in emails, I talked to him on the phone, we became friends. And the only guy that really hurt me in this was Max. When he tossed me under the bus and said I had cleverly tricked him, he knows that’s not true and I know that’s not true. I reached out to him and I said Max, you can say what you want about geocentrism but you know darn well what we talked about. As time goes on I can understand the poor guy—they call him Mad Max because he has multiple personalities and he’s kind of crazy which I love about him—but I did not hear back from Max. And that saddens me. RD: What a great question. The most important thing for the young generation: I only have one thing to say to you. Please learn how to think, not what to think. I could be wrong. As a matter of fact the more I look at this, the more I realize that essentially every attempt of the human mind to describe reality in mathematical and physical terms, is going to be wrong. There is more to reality than mathematics and physics. That’s not to say that these are not profoundly wonderful tools for us. But they have to be kept in perspective. What I see happening that scares me that as civilization turns away from religion as it is doing right now, science is being perverted into a substitute for religion. It’s not important that I understand what dark matter and dark energy are—all of these concepts—I don’t have to be able to prove them. I just have to be able to regurgitate them and sound like I’m intelligent. That bothers me a lot. Science is supposed to be a thing where if I challenge you, you could show it to me in the lab. Science is not about opinion. We can have different opinions on what the data means. That’s why reasonable people can disagree about the things we cover in the film. But the observations are there. They are real. But I can go and show you anytime I want that out of the source data the axis of evil is there. It’s real. What it means, we can discuss. But in science what we’re supposed to do is demonstrate. I don’t have to believe you because you’re my teacher. If you’re a good teacher, you would tell me not to believe me. You would tell me go and do the scientific demonstration. I’m afraid we’re losing that. I’m afraid that there’s a real temptation in the to create a substitute for religion in the form of scientific view of reality. I’m all for the Big Bang, I’m all for anybody who can show me and demonstrate to me the persuasive elements that in fact do exist in the present cosmology. But the problem is this: if you’re going to rule out of court any challenge to a fundamental principle, you’re not doing science anymore. You’re doing metaphysics and religion. Science makes for very poor religion. That’s my concern. Great interview, thoughtful questions from yourself and thought-provoking answers from Mr. DeLano. Thanks for sharing! Sorry, this Delano person is an idiot. Stellar aberration (look it up) is direct evidence of the motion of the Earth around the Sun. There are numerous other indications, many of which engineers and scientists deal with every day. Crazy people like Delano should be allowed nowhere near the school system, and they certainly shouldn’t be given a podium from which to preach their anti-science agenda. The spirit of science is to allow questions, and to ask questions, and even to challenge the standard assumptions, much like Galileo did, didn’t he? – These guys have put out a lot of material, they haven’t gone this far without having to say something about stellar aberration :) In their materials it looks that they have an answer on it, I would encourage you to go to their facebook page and ask them about it, or anything else you may have a question about regarding the model, you’ll probably get a response. No, these people don’t understand what they’re talking about. It’s a matter of cherrypicking. What has happened is that there is extremely strong evidence for the Copernican Principle that they ignore in favor of certain subtle statistical results that scientists understand are due to limitations imposed by, among other things, the finite speed of light. Of course, the filmmakers ignore this basic point and instead try to crowbar in their religious beliefs. Their vain attempts to claim that there is scientific evidence for their ideas are just more creationist rhetoric; there is no science there. They think that the quadrupole and octopole moment of the CMB somehow “points” towards Earth. There really is NO SENSE in which this is the case. The “direction” of interest only is centered on the Local Group of galaxies because, now come along with me on this, THAT’S WHERE WE OBSERVE FROM. Amazing, isn’t it? You make your observation from the Local Group and you see that your observation was made FROM THE LOCAL GROUP! Of course, if we wanted to see a different direction, we’d have to travel to a different group of galaxies. This is not happening any time soon. Must be nice to sit back and pretend that you’ve discovered something other than your own limitation for traveling cosmological distances. Delano does have a point about how mainstream science documentaries and these well known tv star scientists just overlook the data on cmb. The axis of evil or the direction of the cmb is very frightening for people. So most scientists just ignore it. Richard fienm would not really call this good science. Nah. They have NO POINT. The so-called “Axis of Evil” is a statistical anomaly that doesn’t have an explanation, but neither is there a consensus that an explanation is needed because cosmic variance is difficult to account for at the largest scales.